The train ride from Hue to Ha Noi was not as shockling disgusting because I was prepared for the worst. 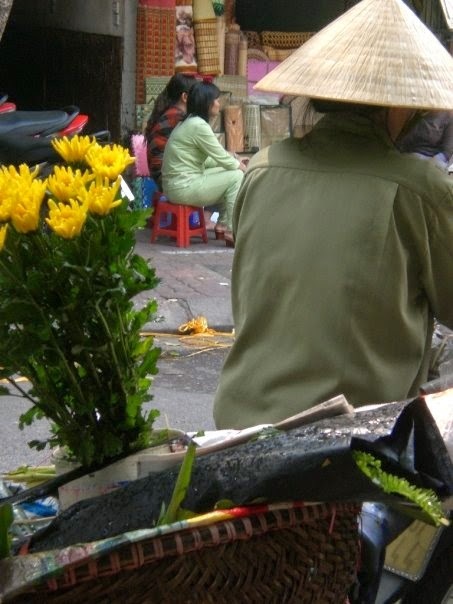 We spent the first day in Ha Noi getting oriented with the city and shopping at markets. The old quarters street names are organized by what is sold on the street, however, this is only helpful if you speak Vietnamese. 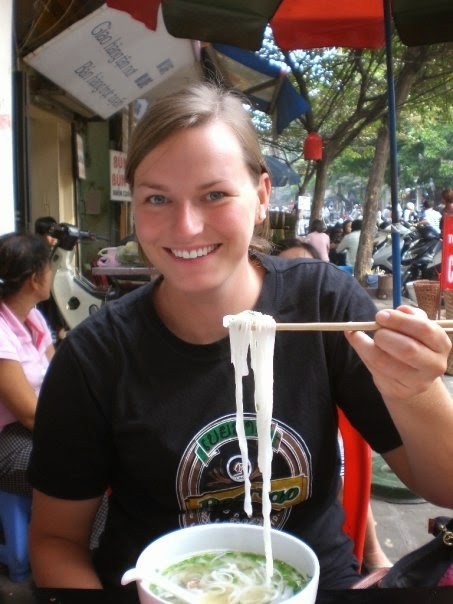 So there are streets with clothes, streets with sewing materials, streets with bamboo, streets with coffee. Whatever you need just head to that street. As simple as that... if you speak Vietnamese. Ha Long Bay: The day after we arrived in Ha Noi we headed to Ha Long Bay (a few hours drive North East). 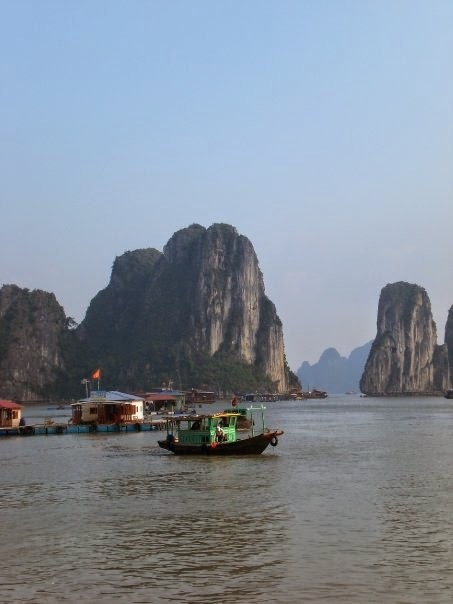 I was initially very excited for Ha Long Bay but honestly it was not what I had expected. I think I had my expectations set high by National Geographic's photos where the skies were blue and junks (boats) had their orange sails up. Turns out the junks motor and it was hazy when we were there. We did all the standard sightseeing that Ha Long Bay has to offer but instead of staying on the boat we stayed at a hotel on one of islands. Which I truly enjoyed. It was still worth the journey up north but it just wasn't as picturesque as I had expected. We are back in Hanoi and I am mentally and physically done with Vietnam. The Intrepid tour has come to an end but I still have one last Vietnam stop... Sa Pa!